Behind every building lies a stack of construction drawings, and within those drawings lie the secrets of its construction. These secrets, covered by the plaster, wallpaper, and other finishings, are the heart of the building. Being able to construct these drawings requires years of schooling and apprenticeship. Being able to understand and study them requires a basic understanding of construction techniques and drawing practices. Construction drawings are created using a vast amount of special symbols and markings to describe complex objects simply on paper. Acquire a current edition of the "Working Drawings Handbook." This book contains information of line-types, symbols, special notations, and other things unique to construction drawings. Using the "Working Drawings Handbook," thumb through your set of construction drawings and locate the structure lines on the plans and sections. These lines help describe the overall structural pattern of the building, which helps you to understand room sizes, door, wall, and window placements and many other architectural decisions. Turning through the drawings you will come upon sets of drawings called "details." Details are blown up drawings of important parts of the structure. Typically details will show tricky joinings, beam assemblies, and other small, but extremely important things that might have been hard to understand using only the larger drawings. Turn to the elevation drawings and examine the faces of the building. Reference the plans and sections against your "Working Drawings Handbook" to determine the materials that are being described on the exterior of the building in the elevation drawings. Read all of the project notes that are printed on the drawings. These usually describe specific parts of the assembly, much like the detail drawings. Project notes typically describe specific reasons behind quirky parts of the drawings that often arise due to structural considerations based on the soil or other unavoidable environmental factors. 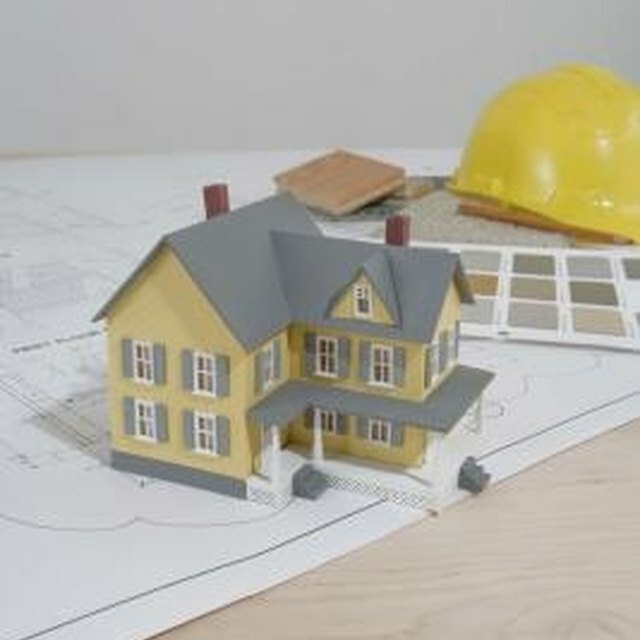 Consider contacting the primary contact listed on the title page of your construction drawings if you have any specific questions that you cannot find the answer to in your guidebook. Most firms will provide some level of support for people who purchase their drawings. Make sure your construction drawings are current and that their country of origin matches the country that your guidebook is from. Different countries have different systems of measurement, different symbols and different standards.